On a warm spring evening in South Los Angeles, a young man was shot and killed on a sidewalk minutes away from his home, one of hundreds of young men slain in LA every year. His assailant ran down the street, jumped into an SUV, and vanished, hoping to join the vast majority of killers in American cities who are never arrested for their crimes. But as soon as the case was assigned to Detective John Skaggs, the odds shifted. Here is the kaleidoscopic story of the quintessential American murder--one young black man slaying another--and a determined crew of detectives whose creed was to pursue justice at all costs for its forgotten victims. 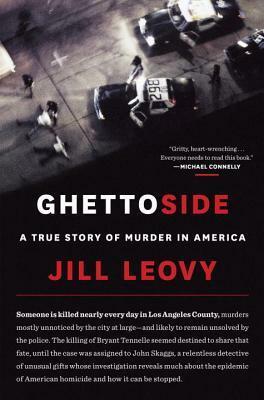 Ghettoside is a fast-paced narrative of a devastating crime, an intimate portrait of detectives and a community bonded in tragedy, and a surprising new lens into the great subject of murder in America--why it happens and how the plague of killings might yet be stopped. This is a book where the author is really looking into the reason for the deaths in South L.A. You see it from all sides, and there are no good and bad just young people dying, and the police some like the Detective in the book working to solve the crime. This shooting did not involve a gang member but a young man walking along the sidewalk killed because he wore the young color baseball cap. His father also worked for the L.A.P.D. but he and his wife decided that they didn’t want to move out of the neighborhood like many others, but work to make it like it once was where everyone could walk the sidewalk and not worry about drug dealers or gangs. Now he and his wife are planning their son’s funeral. Though this book was written a few years ago it is still a strong story today. The reason is because as there are still murders in Southcentral they don’t all make the news, and for that matter, the killings have spread further out to the Inland Empire. I digress, this story is excellent in the look into the investigation, and into the family and can there really be any kind of change. 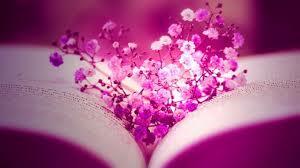 A very thought provoking book, while sad at the time. I got this book from netgalley.com. I gave it 5 stars.